Old School Jam community · Replied to THEREVENGER1 in Come on, guys! Hey :) What kind of old skool are you thinking, I can't seem to come up with something that has an old skool feel to it lol. itch.io Community » Game Development » Release Announcements · Created a new topic Why did the chicken Cross the road? Hi all. I have just released an update for one of my games and would love some feedback and opinions. Please feel free to speak openly about how great the game is ;) haha oj be as critical as possible. 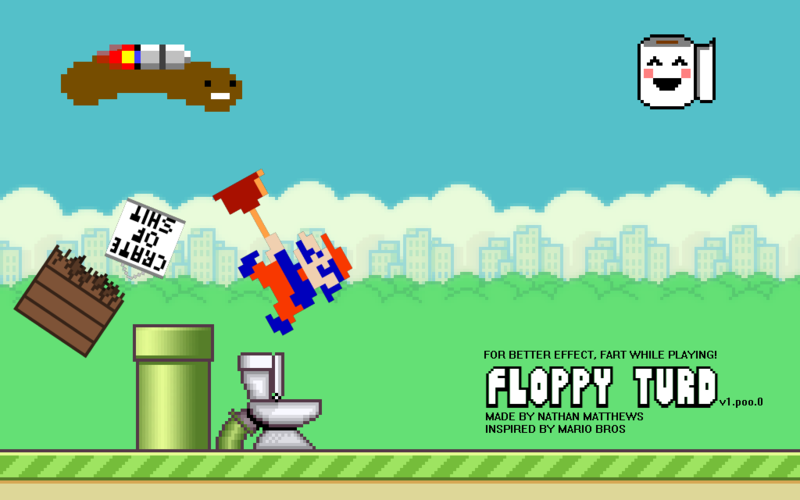 The following link is to download and play the game. If you like puzzle games I think I've just concocted a really great one. 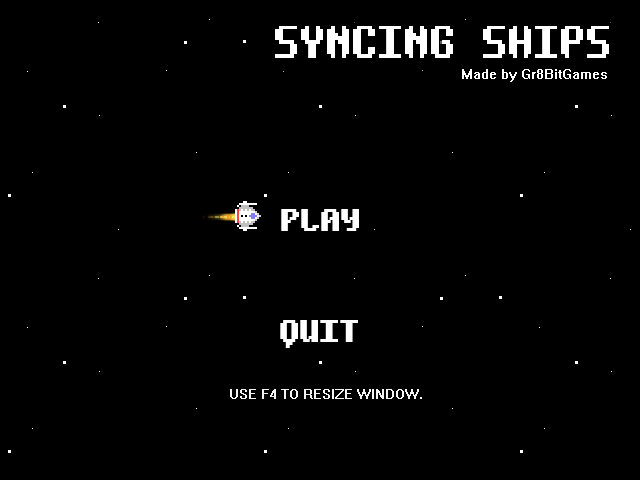 I recently created this game (Syncing Ships) for the weekly game jam. Student Gamejam X community · Created a new topic Entries? Sooooo is this just open to any entries as long as you're a student??? No rules??? What do you mean by using transparent if it is in the 2 colours? Can I use transparent sprites. Though the color would be registered as black and white when the 2 sprites overlap you will see grey so I was just wondering about this :) ??? Cool. So can I put a game up that has already been uploaded for a while too if it's not getting any attention at all and I mean like 3 views in months lol... Also what about like a Facebook page for updates @leafo seeing since the FB page is directing people here too...? Is there a forum for promoting my games for a better audience? Possibly recommend a game but can you recommend your own without people saying TABOO! Also in promo content can you post links to other sites ie Facebook page, GameJolt, Youtube etc :) ??? What software did you use to make this :) ? Mini Jam 4th Edition community · Posted in Scaling? Mini Jam 4th Edition community · Created a new topic No Theme? Thanks for your comment and feedback it is appreciated and motivating to hear the pros and cons from others like yourself. I am glad to hear your enjoyed the range of aspects . I think the game is fun and creative. I like the visuals and the music/background noise, it adds a really good environment sensation and the control feels nice and smooth. Good luck with your submission. Thanks a lot :) And thanks for all the glitches, your feedback is much appreciated . Thanks for the feed back. Yea I've got that a lot about the difficulty from friends and I think since I'm the developer I know the ins and outs of how to succeed. 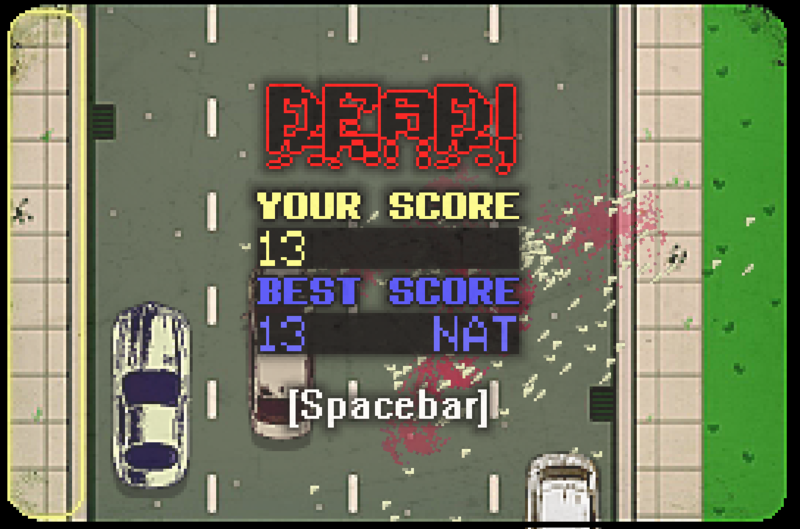 I was also Thinking the actual keys were too hard to be so separate and was thinking this could be a possible difficulty selection thing where Hard is actual Keys. At the moment I've actually got a lot of ideas for it to improve the game play, comfort of control and enjoyment/satisfaction that causes you to want to try again but I just wanted to upload it to the Jam ASAP which might have been my downfall when it comes to the comp lol but thank you for your feedback it is much appreciated. Nice music, I didn't really finish the game but I think you should add a variety of weapons, enemies and maybe even attacks to keep the game interesting. I think the concept of this game is awesome and it has a lot of potential but I feel it needs a more work done on sprites and more interaction. I couldn't exit the levels or close the game while I was in a level without ending the task btw. Music Game Jam community · Created a new topic Charity? I was just wondering what charity are the donations going towards?